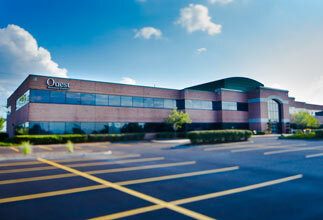 Our Conference Center is located in the Polaris Commercial and Entertainment District on the north side of Columbus. Our meeting rooms offer over 27,000 square feet of flexible space for events and meetings. 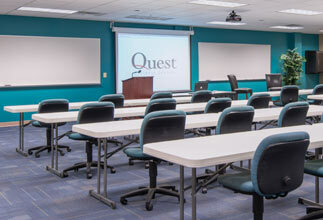 Quest Conference Center is an impressive venue that is ideal for a wide array of programs and events. You have picked the right place for your team's next meeting space! 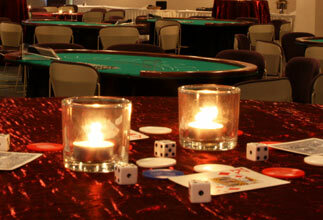 Quest Conference Center is committed to creating a professional conference and event atmosphere, providing the highest quality customer service, and promoting the success of all events that we host. Our meeting spaces include options for small business conferences, seminars, and team building events, but we are also large enough to host job fairs and trade shows. Our largest meeting space is the Columbus Meeting Room, which can accommodate an assembly of up to 375 guests!Quest has the meeting space for anyone and is one of the largest conference halls in North Columbus Ohio!